Hitting North America on October 12. Straight from the horse's mouth (with the horse named Nintendo), the newest DS entry in the Pokémon Mystery Dungeon spinoff series, Explorers of Sky, has landed itself a North American release date. For those unfamiliar with the Pokémon Mystery Dungeon series, you play as the Pokémon and catch people with Huméballs, growing your army and forcing them to breed and battle other people in mysterious dungeons. Well, that's the Pokémon spinoff game I would make. Nintendo, they do their own thing. For fans of the beloved Pokémon™ Mystery Dungeon video game series, this fall promises to be an especially thrilling one. 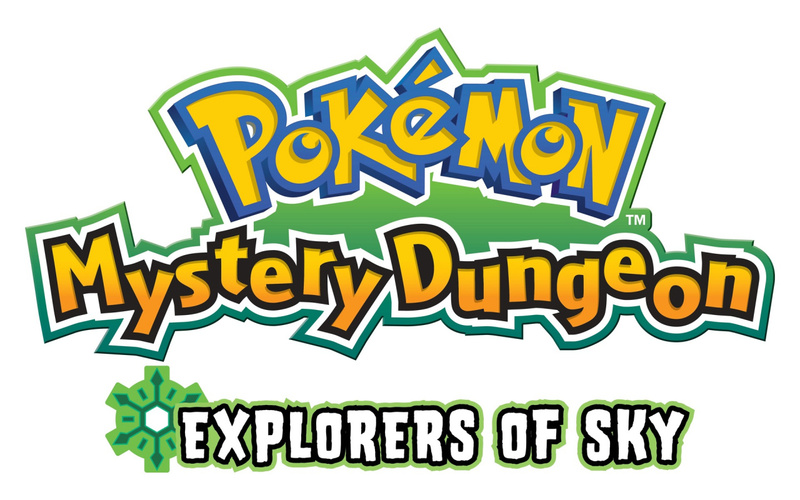 Nintendo of America has confirmed an Oct. 12 release date for the new Pokémon Mystery Dungeon: Explorers of Sky game, a feature-packed adventure created exclusively for the portable Nintendo DS™ and Nintendo DSi™ systems. Play as one of 19 different Pokémon including five additional starter Pokémon that have been added to the roster of Pokémon Mystery Dungeon: Explorers of Sky. There are more than 490 Pokémon to interact with in this immersive role-playing adventure that is engaging for longtime fans and series newcomers. Players assume the role of a Pokémon and team up with a partner Pokémon to save the world from destruction. 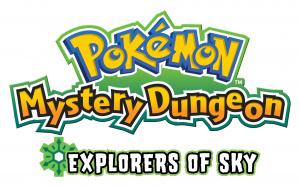 The game also includes new “Special Episodes” that reveal secrets about certain characters in the Mystery Dungeon world. Pokémon Mystery Dungeon: Explorers of Sky also includes enhanced communication features where Nintendo DS and Nintendo DSi owners can trade in-game items and share a demo dungeon with friends through the local wireless communication. Players with wireless broadband Internet access can use Nintendo® Wi-Fi Connection to find special missions and rescue fallen friends. Since first launching in Japan in 1996, the Pokémon video games have sold more than 191 million units worldwide. For more information about Pokémon Mystery Dungeon: Explorers of Sky, please visit Pokemon.com. Let me be the FIRST to say I'm not a big fan. Darnit, I'm using Wii browser. It's unpredictable. "For those unfamiliar with the Pokémon Mystery Dungeon series, you play as the Pokémon and catch people with Huméballs, growing your army and forcing them to breed and battle other people in mysterious dungeons." Hilarious, I was quite confused until I read the next sentence, haha. Wasn't there a WiiWare PMD announced awhile back, too? I'll just wait for that if so since it'll undoubtedly be cheaper. I lol'd hard with all these firsts! Anyways, what does that quote Adam posted mean anyways? What do you mean, what does it mean? It was just a joke that the news poster made. It's not actually part of the game, of course. @Adam: Duh. It's a firstie who doesn't care about the article. What? I love the Mystery Dungeon games! I'll be getting this! @Dicesukeinuzuka High five for you too! Yeah...I think I'll get Shiren The Wanderer instead. Am I missing something? Mystery Dungeon for WiiWare? @Bahamut ZERO: Yeah. Three of them. Art style same as My Pokèmon Ranch. There's also an arena fighter called Melee! Pokèmon Scramble. You guys have a horse? Named Nintendo? AND HE TALKS? I'll probably pass on this. I haven't been the biggest Pokemon spinoff fan. I'm still waiting for SoulSilver to rock my Johto. Waiting for SoulSilver here. These games don't seem to tickle my fancy. They pop em out like baby rabbits though. "I'm beginning to think there'll be no forced mating after all." I'm not really a fan of the Pokemon Mystery Dungeon games but I do enjoy Shiren the Wanderer and Chocobo's Dungeon. I've only played the original mystery dungeon game. Anyway this is old news to me. Bought two, Blue Rescue Team and Explorers of Darkness, when they came out. Selling them. I couldn't be less excited if I tried! On a related note, I often wonder if anyone actually has a horse called Nintendo. The wiiware games don't count because they are so far ahead. I already have this game, and I love it! It's called explorers of darkness. @Cipher: Well there is a kid named Ganondorf, so it's possible. I think you're talking about a kid named "Ganon", his parents weren't aware of the Zelda character yet. They used Ganon 'cause it was a cool Irish name or something. the first was good (nuttin better than oringinal) but jus like the other sequels thisll a FAIL or better yet EPIC FAIL!